at Baptist Bible College in Clarks Summit, Pennsylvania. "Hello friends. My name is Ashleigh, and I grew up in Knox, Pennsylvania. Ninevah, to be exact. I like the color red, I love to read, and one of my biggest passions is music. I've been playing music since I was little, and I've felt the call to use that music for God's glory for as long as I can remember. As for statistics, I've been playing guitar since I was 12, songwriting since I was 11, playing piano since I was 6, and singing since...well, since before I could talk. I've been blessed with great opportunities to put feet to my passion on several worship teams, including 2 years of touring with Baptist Bible College admissions/music team "RiSE", and several other church or school related teams. I love to sing, and I love to hear other people sing, especially when we're all singing praises to our God as one. I am incredibly thrilled, excited, and honored to have the opportunity to lead worship this year at the Knox Ladies Seminar and look forward to meeting you all! " RiSE Album "God is Able"
Ashleigh Bennett has been singing since she could talk. When she was 10, she started writing songs. As a young woman, her passion for music and her talent have grown. A junior Specialized Ministries major, Ashleigh is focusing her classes on counseling and missions. She spent her summer traveling and performing with RiSE, a BBC worship team. The group made 45 stops in nine different states during the four-month tour. Read more about RiSE here. 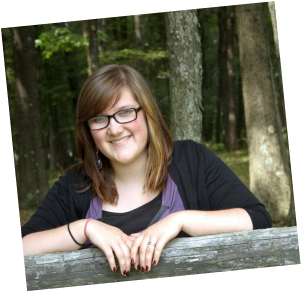 Ashleigh is from Knox, PA, where she attends Grace Evangelical Congregational Church. She serves there in multiple ways -- from singing to leading children's church. It's weird when people call me a singer/songwriter. It kind of seems like it's an official position or something that I worked for, but it's not. It's me writing the thoughts that God has planted in my head and attaching them to some music that God has given me. It's a really neat avenue to be on, though, because I love music so much. And it's really cool God has given me the opportunity to minister and bring glory to Him through my passion. I was probably around 10 or 11 years old when I started writing songs. Most of it was just little stuff on the piano without words, but it was mine. I have written somewhere between 15 and 100 songs and I have two 5 song EPs (extended play) and a 10 song compilation CD of the two EPs. Promoting myself is the biggest challenge for me. It's a very strange thing - trying to sell your heart on a disc to a bunch of people you don't know. Or even ones that you do know. That's strange, too, when you've been taught all your life that you aren't supposed to talk highly of yourself. My family and friends are constantly encouraging me, praying for me, helping me with my CDs, talking the CDs up, and selling the CDs. Lots of stuff. I had never even heard of BBC before. I found the online program, liked what I saw on the BBC website, and applied. My application got mixed up and I discovered later on that I had applied to be a full time, on-campus student. However, it turned out to be cheaper to come to school than stay home and take classes online. I really felt this was where God wanted me, so I turned in my deposit and enrolled. RiSE is such a unique, once-in-a-lifetime opportunity. It is truly an experience unlike any other. I wish it were possible for everyone to be involved in something comparable at least once in their lives. You get to serve God in so many different settings, see so many different parts of the body of Christ worship in so many different ways. You get to interact with different types of people, be stretched in lots of different ways, get to see lots of cool places, and build really awesome relationships with your fellow team members. It's such a beneficial time. RiSE has been so good for me. I am not naturally a people person. I like people, but I don't like to talk to people I don't know. However, I absolutely love music and God. When you put the two together, it's a really good time. RiSE was all of that. It caused me to grow spiritually and as a member of the body of Christ. I'm not going to lie; it's hard. But it's completely worth it. God has truly grown me so much during my time with RiSE, it's unbelievable. I am a truly different person and I love what God is doing in my life. I loved the summer RiSE tour. There were so many absolutely fantastic moments, so many different places and great people, so many different but equally phenomenal gatherings of the body of Christ. What does the future hold? I would like to do the will of God, whatever that may be. I say that because I have absolutely no idea what He has in store for me. I would like to be doing music and doing something to the tune of starting a music-based ministry for teenage girls, but I have no clue what that would look like. That's part of the faith journey I'm on for sure.